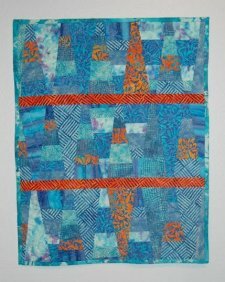 "As promised, the tutorial for the Dresden Strip Quilt- as seen in the Blogger’s Quilt Festival (#569). This is the *method* for how I did it. 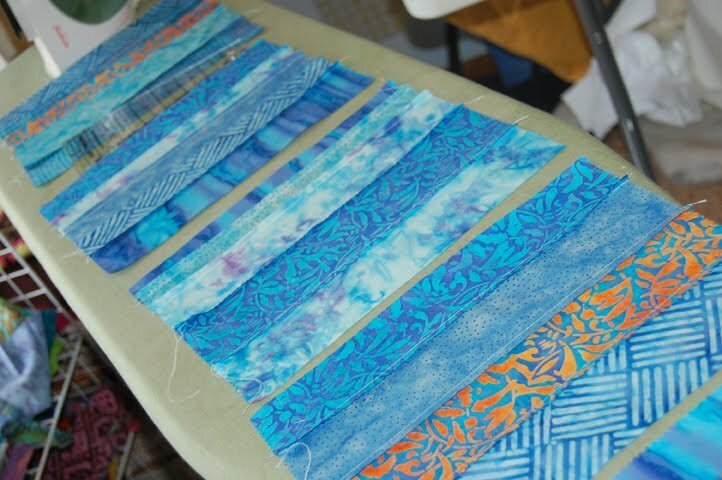 It can be any size and use any amount of scrap fabrics. "I received these pieces/scraps of batik fabric from Quilt Market last year. They were not fat eighths and they were not fat quarters of fabric, they were just large usable squares/rectangles bundled together to look beautiful- so I bought them from Karen Combs and Avlyn Fabrics. But of course, I hadn’t cut into them “because they were just too nice.” As it turns out, my stash is quite full of “just too nice” and I need to get on with the sewing. "Since they were large scrap size, I decided to make a strip pieced quilt using a Dresden plate ruler/template."